Online supermarket Ocado just took a leap into the voice assistant market, by becoming the first UK supermarket to release an Alexa skill. 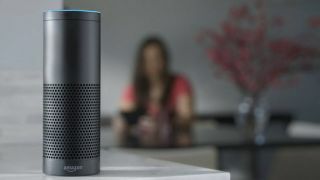 Skills are the name for apps on the Amazon Alexa enabled speakers, including Amazon’s own Echo, Echo Dot, Echo Show, and the numerous third-party speakers that are powered by the smart assistant. Using the new skill, you will be able to add items to a currently existing basket, find out which products are in season and get inspiration for how to best use them in recipes, check if a product is already in your basket, and track an order. At the moment the skill doesn’t enable you to create and check-out a new order, it only allows you to add to or track an existing one. What’s quite interesting is that this isn’t the first time that you've been able to do a food shop using Alexa, Amazon offers it’s own grocery service with Amazon Fresh. In the UK, this service is run in collaboration with Morrisons, and the operation is very similar to the new Ocado skill. Potentially this means that Ocado will be in direct competition with Amazon's own offering. Amazon has already allowed for third-party companies to make speakers that use Alexa, and it’s even opened up its hardware build for the Echo speakers, allowing for other manufacturers to make speakers with the same microphone array. This all seemed to be a move to ensure the ubiquity of Alexa, seemingly so that Amazon could then make money off customers using its online services. Seeing the skills store filling up with other services that are in direct competition makes us wonder what the bigger picture is for Amazon. But in the short term, enjoy adding carrots to your shopping basket even when you’ve got dirty hands in the kitchen.